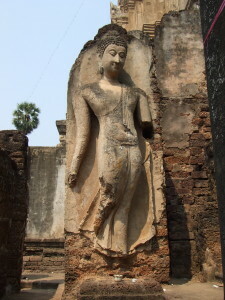 What did this statue once look like? 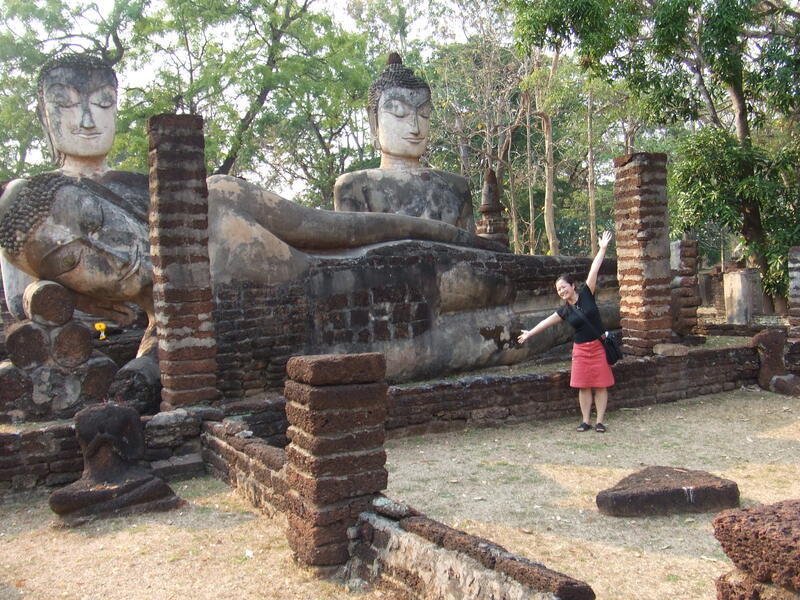 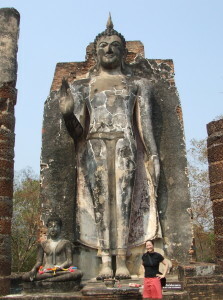 In the Sukothai Historical Park in Thailand, I discovered temple ruins with gigantic statues of Buddhas, Boddhisatvas and also elephants, all of which had seen their heyday back in 12th – 13th Century. 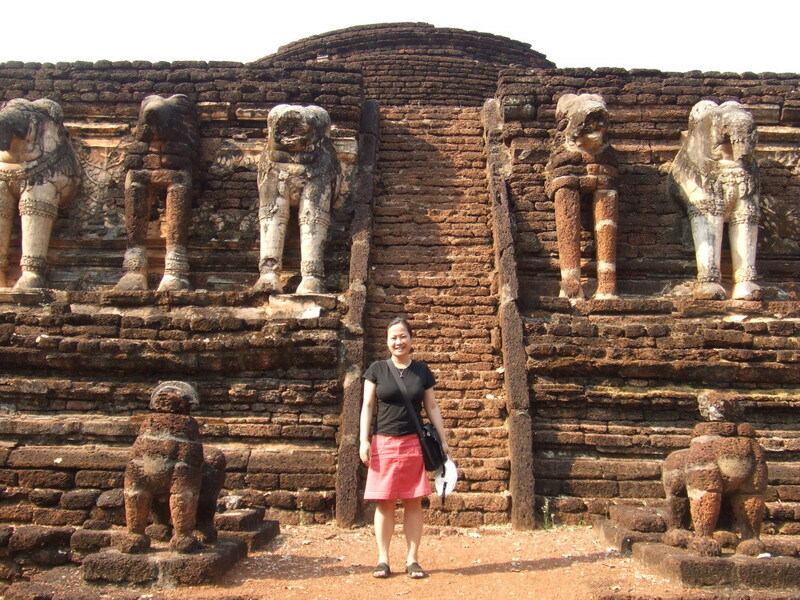 The beauty of traveling to Sukothai is being able to view a snapshot in time of this once great palace area resplendent with colorful statues and walkways. Now it’s a UNESCO heritage site for thousands of tourists every year, and it’s a quiet tourist destination that is often overlooked on the map for those in favor of Chiang Mai, Bangkok or the number of gorgeous islands in Thailand. I loved my brief time in Sukothai as I wandered around and imagined the hustle and bustle of this once great kingdom that ruled for 200 years.